They do everything exceptionally well while everything is exceptionally easy! These wide, short and thin boards provide the best early planing, an exciting ride and unbelievable jibing abilities for all rider levels. 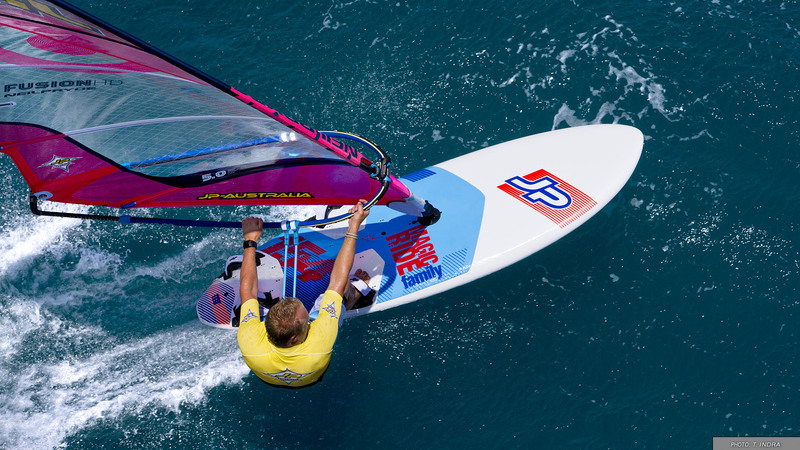 Playful and small, they sit high in the water, delivering the lively and sporty feel which makes windsurfing so exciting. The new 112 follows the shape amendments of its brothers. Now all 7 models provide a high water position, giving them a lively ride and improved performance. The 112, like the 119 and 130, is a lively, agile, sporty freerider which simply planes better, rides more comfortably and jibes much easier than comparable, traditional freeride boards. The 97 and 103 are more stable and comfortable and are easier to control compared to Freestyle Waves or All Rides of the same size. They also plane earlier and require less input from the rider. Up to the 130, all the Magic Rides are lively, sporty and fast widebody freeriders. The 142 and 154 were shaped with the beginners and intermediates in mind and are even more forgiving and comfortable. They all plane unbelievably early for their size. The performance and top speed of the 2nd shape generation also improved simply because of the light and easy handling when blasting along. Flying on the fin they provide directional stability and the vee and double concaves seem to iron out all chop. The two new Magic Ride Family models come with a center fin and 2/3 of the deck has an EVA Pad making them great boards for the whole family. When swapping from traditional narrow boards you have to get used to the ride and feel of the new wide body boards. Once you slightly adapt your style you will be rewarded with a magic ride and will probably never want to go back. To select the right board size look at the width of traditional “narrow” freeriders or go for about 10-15L less volume to get the same range. 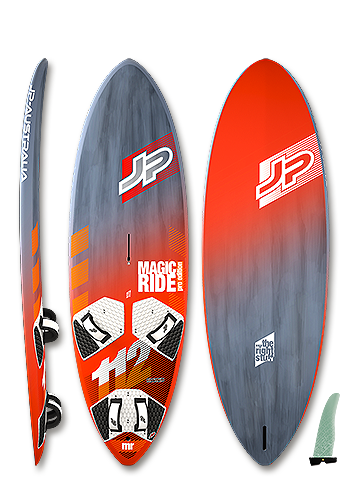 The Magic Ride will feel smaller and more compact and will jibe like a smaller board. It pretty much jibes by itself. Push the rail and it will carve predictably, smooth and incredibly easy. No matter if you are just starting to jibe and need forgiveness or if you want sportiness – which is where the 2nd generation excels as they can carve harder and tighter and exit with more speed.